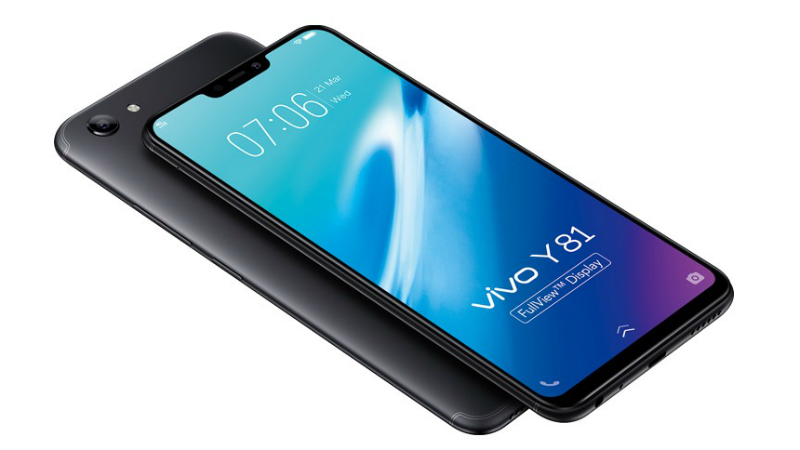 Vivo has launched a new smartphone in its Y series dubbed as Vivo Y81 in India. The smartphone was launched in Vietnam back in June and now it is available for purchase in India as well via the Vivo online store, Amazon, and Flipkart. The highlights of Vivo Y81 are an iPhone X-like notch display with a 19:9 aspect ratio, Face Recognition, and a 3,260mAh battery. The Vivo Y81 price in India is Rs. 12,999 for the only 3GB+32GB model. The smartphone is available on Vivo online store, Flipkart, and Amazon. The smartphone is available in Black and Gold colors. There is some exchange offer on the Y81 both on Amazon and Flipkart. The Vivo Y81 sports a 6.22-inch HD+ (720×1520 pixels) IPS display with 19:9 aspect ratio and Gorilla Glass protection. It is powered by an octa-core MediaTek MT6762 (Helio P22) processor, paired with 3GB of RAM, and 32GB of inbuilt storage which is expandable up to 256GB. The smartphone runs on FunTouch OS 4.0 on top of Android 8.1 Oreo. For the camera, the Y81 sports a 13MP rear camera with f/2.2 aperture and LED flash. It has features like HDR, Pro mode, portrait, AI face beauty, slow motion, time lapse, panorama, PDAF, and live photo. Up front, there is a 5MP selfie camera with the same aperture, a screen flash and features like face beauty, group selfie, filters, voice control, and portrait mode. The Vivo Y81 houses a 3,260mAh battery. Connectivity options include 4G VoLTE, Bluetooth 5.0, Wi-Fi 802.11 (2.4GHz), GPS, Micro-USB, and 3.5mm jack. The dimensions are 155.06×75.0x7.77mm and it weighs 146.5 grams. The sensors include a fingerprint sensor, accelerometer, ambient light, proximity, e-compass, and gyroscope.